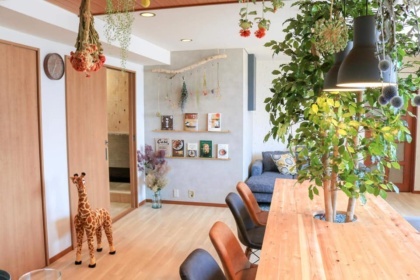 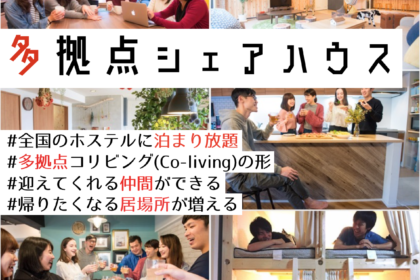 It has been a month since the opening of HUG Ikebukuro, a sharehouse that lives a life of travel! 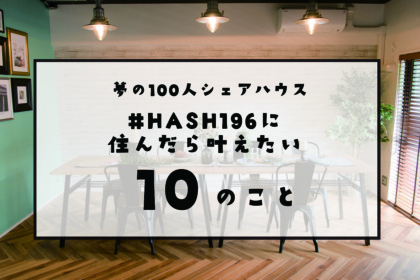 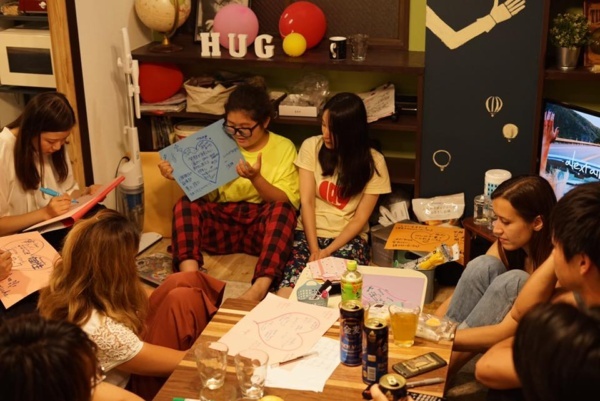 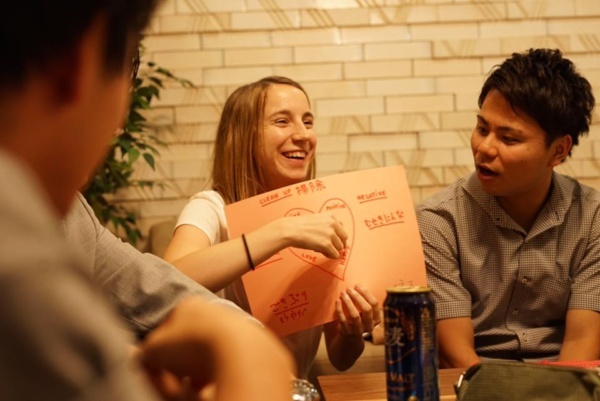 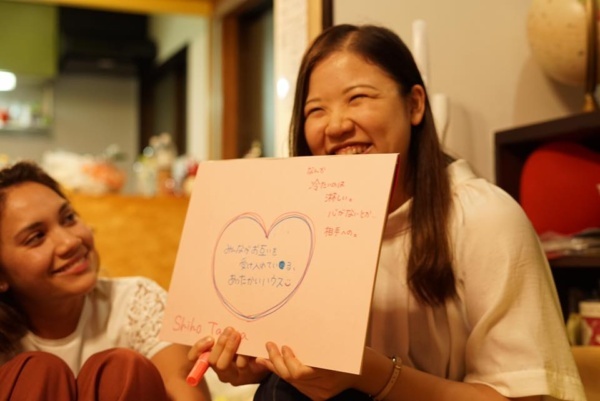 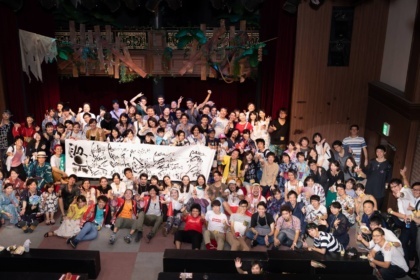 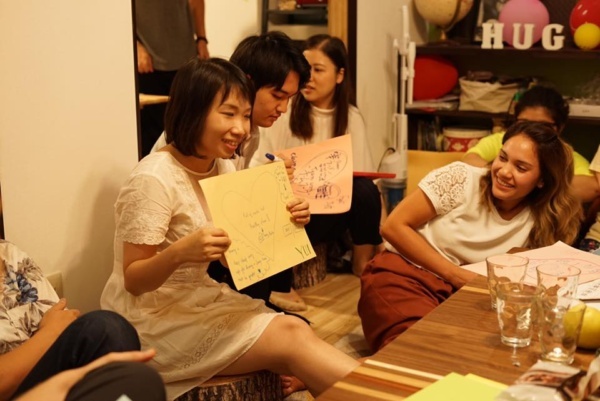 The multinational family of HUG Ikebukuro recently had its first “Communication DAY” where everyone thought up, drew and explained a “heart”, the inside of which includes everything that the person thinks an ideal sharehouse should be like, the points most important to him/her. 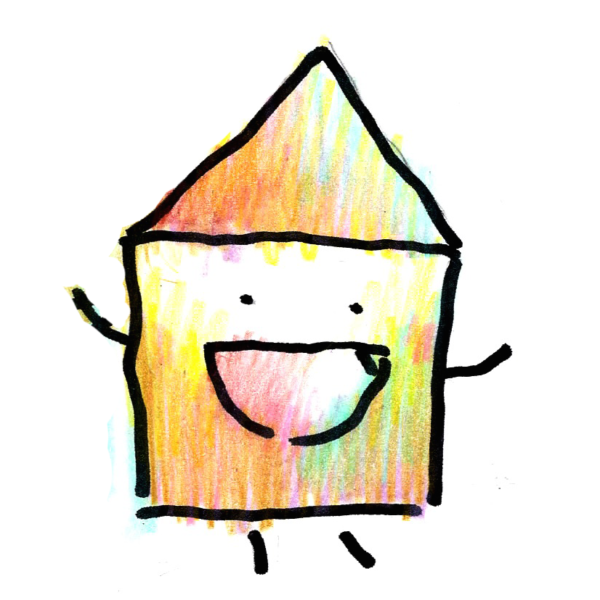 Outside of the “heart” – “I don’t want a sharehouse that is…” kind of points. 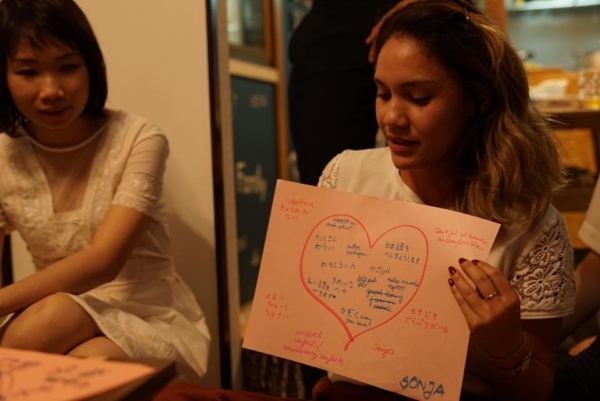 The point was not to evaluate whose “heart” was the best or create rules, but to understand the things each and every member of the family holds dear.